Much more than a man and a van. ​With a name like RocketVan, this brief was a creative’s dream – an opportunity to be playful and cheeky. 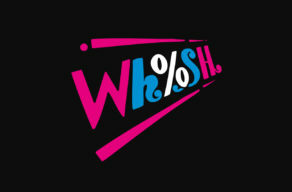 But for a small business in its early days, we needed to be pragmatic and simple, too. 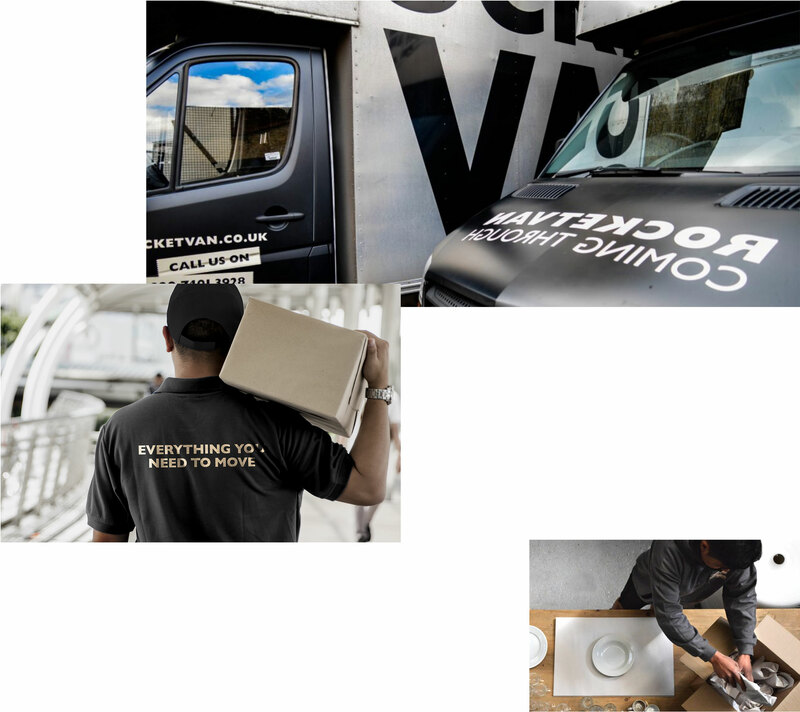 Our objective was to make RocketVan London’s favourite delivery service, filling the gap between the traditional, characterless goliaths and the ever-increasing, anonymous ‘man and van’ offerings​. During our creative development, the owner suggested turning a redundant street-facing unit into a RocketVan shop; the high street presence was a great way of cross-selling the removals business. 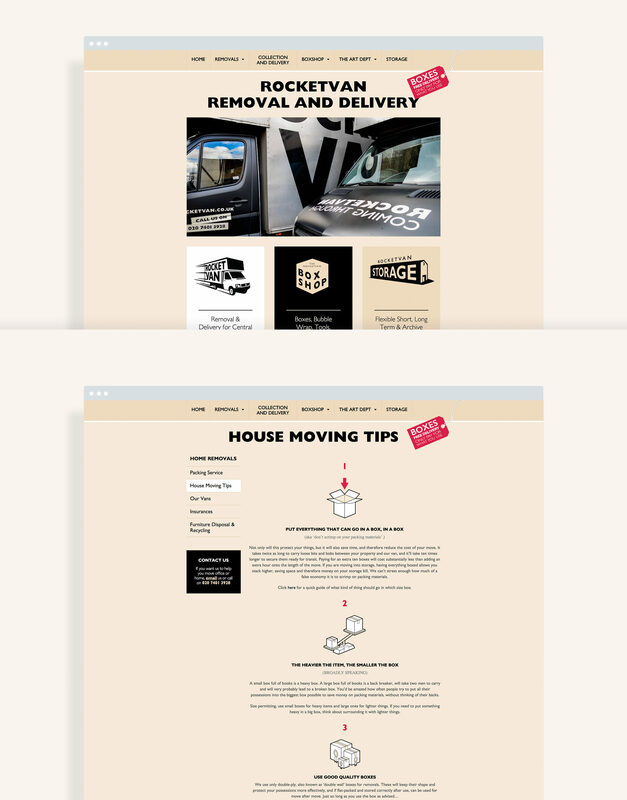 And so the BoxShop was born, and it pointed us towards our proposition - ‘Everything you need to move’. The business really fulfils it: RocketVan handles commercial and residential removals, storage for as long as you need, and can even sell you boxes, bubble-wrap, tools and tape through its shop. Our brand has definitely helped propel our business - the playful aspect garners great word of mouth, but its simplicity ensures that our service and simple approach shines through. 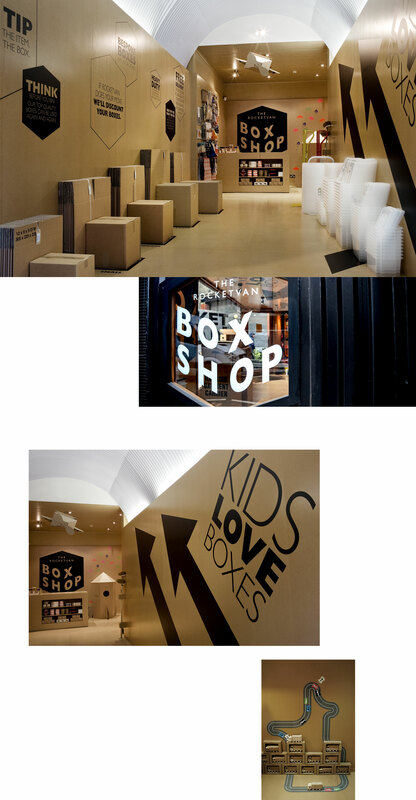 We partnered with interior design specialists to bring the BoxShop to life in a way that was as playful as the parent brand - and won ​awards in the process. The business has gone from strength to strength, with RocketVans being snapped on streets and even impressing Henry Holland who celebrated the vans on Instagram. We love working with RocketVan as they continue to build their business as a real progressive, with tonnes of energy and a can-do attitude. Here's to the brand serving them well for a long, long time.